An Evening of Hip Hop – 2/18/17 @ Jimmy’s Saloon | rhymeCulture.org | culture. music. news. 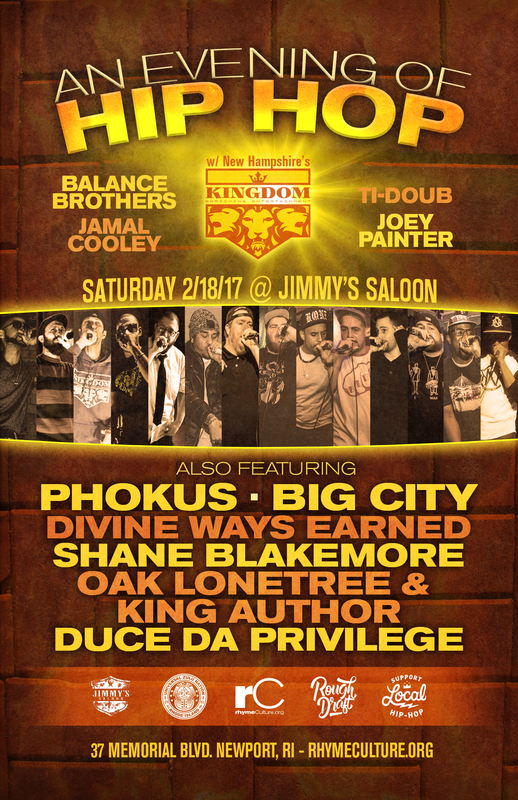 rhymeCulture is looking forward to a visit from Kingdom out of NH on Saturday 2/18/17 at Jimmy’s Saloon in Newport, Rhode Island! They’ll be joined by Phokus, Big City Bumpus, Divine Ways Earned, Shane Blakemore, Oak Lonetree & King Author and Duce Da Privilege!